In presentations to educators and parents, OCDE Prevention Coordinator Stephan Lambert displays some of the electronic cigarettes and vaping devices that have been confiscated at schools. The lineup of three confiscated vaping devices to the left shows the kinds of next-generation products that have been found on school campuses. On the right, a USB drive and a folded dollar bill are shown for scale. His point is quickly — and visually — evident. These don’t look like smoking devices. Some closely resemble flash drives, highlighters or correction tape. Others could be easily mistaken for makeup cases, credit card holders or batteries. It turns out there’s a lot that’s not widely known about vaping, which has seen a recent spike in use among young people. To better understand the phenomenon and the products themselves, we sat down with Lambert and Crowdis to get answers to a few basic questions. The term vaping applies to any sort of electronic smoking device and nicotine delivery system. You might alternatively hear them referred to as e-cigarettes or e-cigs, and they come in all shapes and sizes. But they essentially function the same way. Within each device, a battery heats up a metallic coil, which turns a liquid into an aerosol that can be inhaled. The liquids typically contain nicotine and flavorings. Newer vape devices, like this one made by Juul, can be easily mistaken for flash drives and other common objects. When people think of e-cigarettes or vapes, they tend to imagine cylindrical objects similar in size and shape to cigarettes. Or maybe they’ve seen those boxy “tank” devices that can be unscrewed by users to add their own liquids. 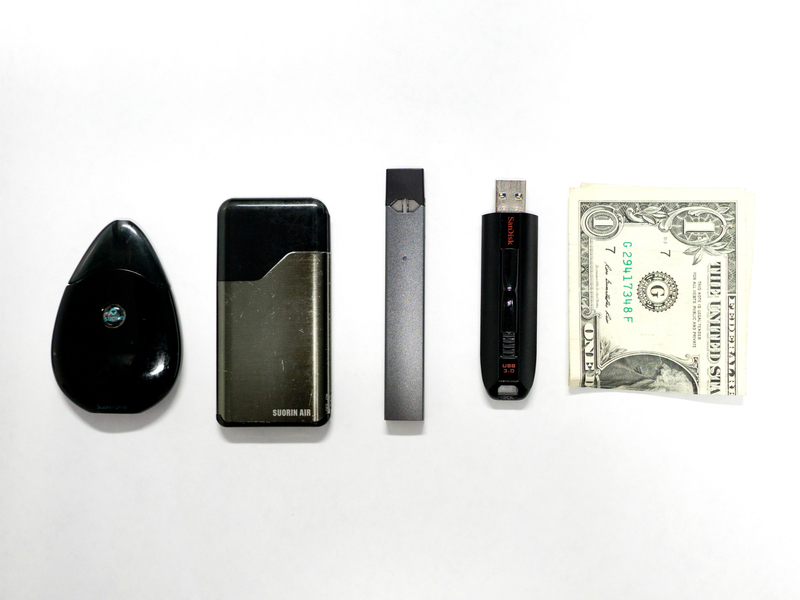 But, as the photos show, companies like Juul and Suorin have developed more discreet vape pods that resemble objects commonly found in the home, school or office. They don’t smell like tobacco when used, and the smoke can be pretty minimal. How prevalent is vaping among young people? According to data from the California Healthy Kids Survey, the vast majority of Orange County students are not vaping. That’s the good news. But national rates are increasing — and fast. What’s the biggest challenge for schools? What are the dangers associated with vaping? “There’s a difference, too, in the type of nicotine that they’re using,” says Crowdis. “They’re using a nicotine that is a lot more potent. It has more of the actual nicotine in the liquid.” He adds that some vaping devices are also being used to deliver different forms of marijuana. What are OCDE and local school districts doing to address the issue? The Tobacco-Use Prevention Education program, or TUPE, uses tobacco tax revenue from the state to fund prevention efforts at participating districts. Crowdis says TUPE takes a four-pronged approach that embeds prevention curricula into health, science and P.E. courses while also promoting student-led anti-tobacco initiatives, school-based intervention strategies and tobacco cessation services, which are offered in partnership with the Orange County Health Care Agency. Additionally, OCDE staff — armed with data from the California Healthy Kids Survey — lead trainings and help local districts develop policies to address tobacco use. Lambert facilitates workshops for schools and parents, providing strategies for communicating with children based on the most current research. How can educators and parents learn more? For additional resources, including information about vaping, e-cigarettes and smoking cessation options, visit OCDE’s Alcohol, Tobacco and Other Drug Prevention webpage. OCDE, in partnership with the Orange County Health Care Agency and the Orange County Sheriff’s Department, has also developed a state-funded youth awareness and prevention campaign at Notsosafe.org.